Member 1: "I'm not a dessert person, but I LOVE candy. I would choose a smartie over a dessert." Member 2: "Are you serious?" Member 3: "Hey, what's a smartie?" Member 4: "It's kind of like a TUMS only smaller and tart." Member 2: "It's really just a compressed sugar pellet." Now, on to the photos. We started only three months ago, but I'm thrilled with the progress everyone has made. 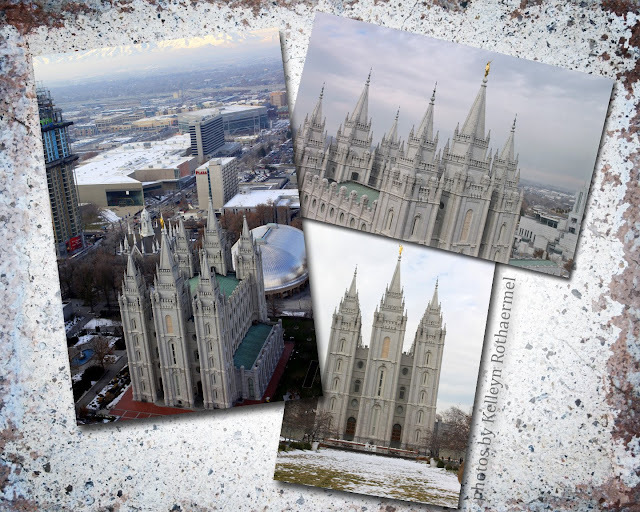 This month's assignment was to submit 3 photos taken of the same subject with different compositions. As you can see, the results were fabulous. I put together an 8x10 collage from each participant's assignment. 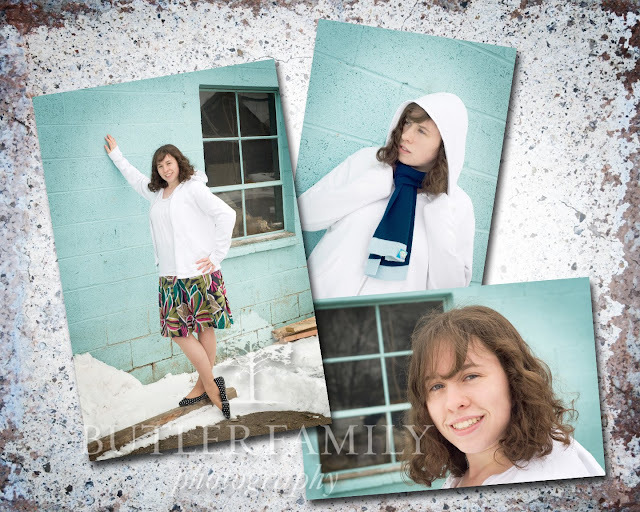 This is mine: senior photos of my niece while I was on vacation in Utah. I'm lovin' the blue wall! And I finally am getting brave enough to try angles in my shots. I've been having so much fun with textures and backgrounds lately. 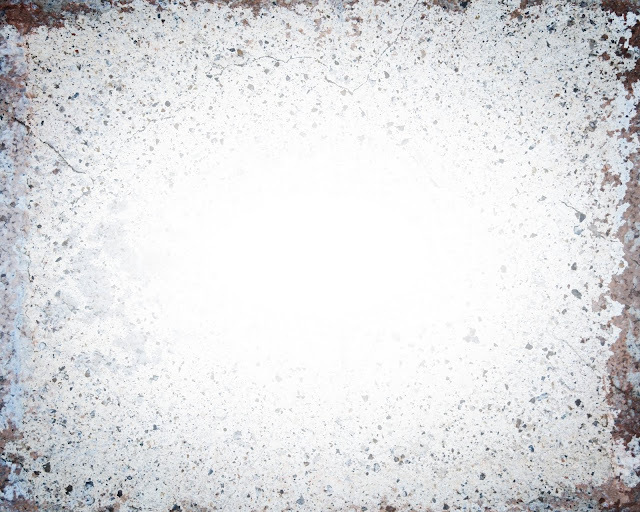 This is a texture I created from a cement wall photo and some creative vignetting and layering. Want a copy? Just click and download. It's free for commercial or non-commercial use. That's right, it's FREE! Just give me a credit link and we're good! I love the close-up on this one, a great example of filling the frame. This photographer is doing awesome work with indoor photos lately. You can see more of this photographer's work at Scarlet Velvet and Pearls. Don't you adore the boots photo? I think it was her favorite photo too. I also love how the face close-up works as a vertical or horizontal shot. Awesome. See more of this photographer's work at DiaT Photography. This photographer used late afternoon golden light to capture her son playing in the sand. I thought it was a great idea to photograph his shoes. 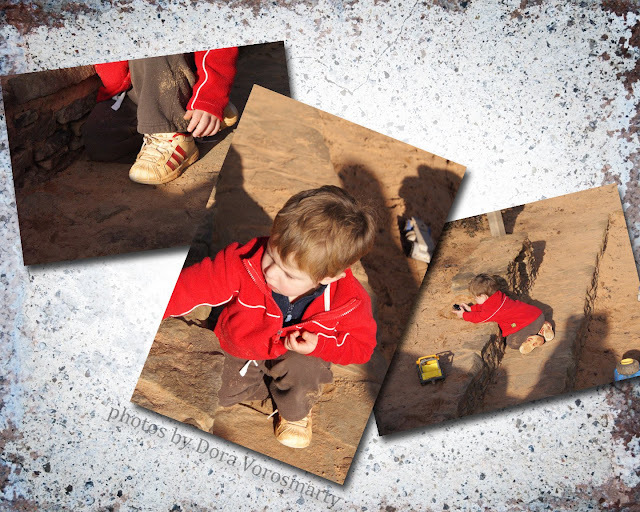 One of the things we talked a lot about at this meeting is how important taking photos of details are--especially when they are of your son or daughter. You want to remember those little things about your kids (as well as the big things). 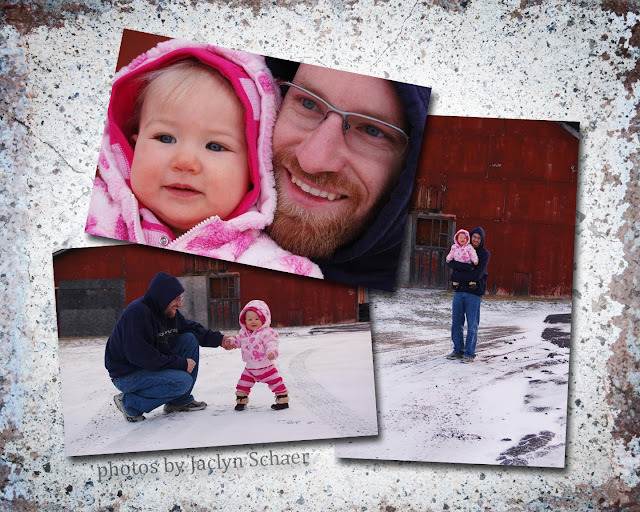 I love daddy-daughter photos and the background and color on these images are great too! 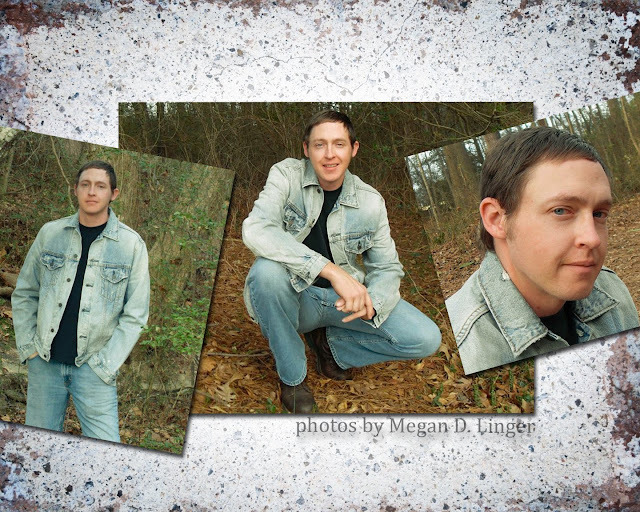 If you can believe it, these were taken without any prior scouting for the location. The photographer saw the barn and knew it would be perfect. "Hurry! We have to get out of the car and take some photos here!" 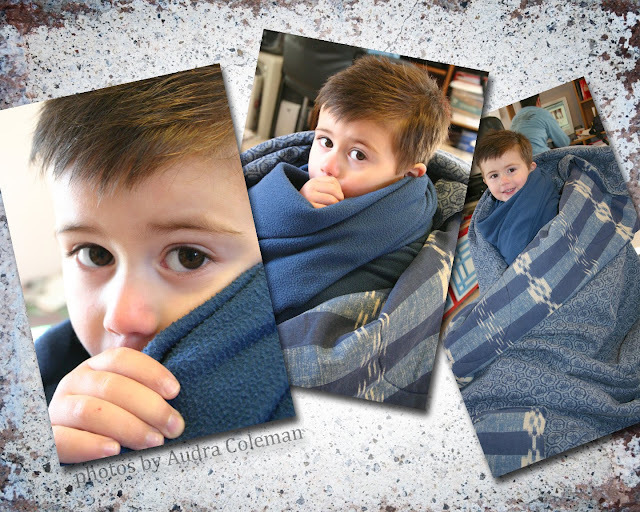 It's fun to have a Photo Club photographer who takes travel photos, a major feature of her blog called Traveling Bug. We joked with her about how good these photos were. "Are you sure you didn't just scan in a postcard?" But she insisted they were hers. "I have proof!" 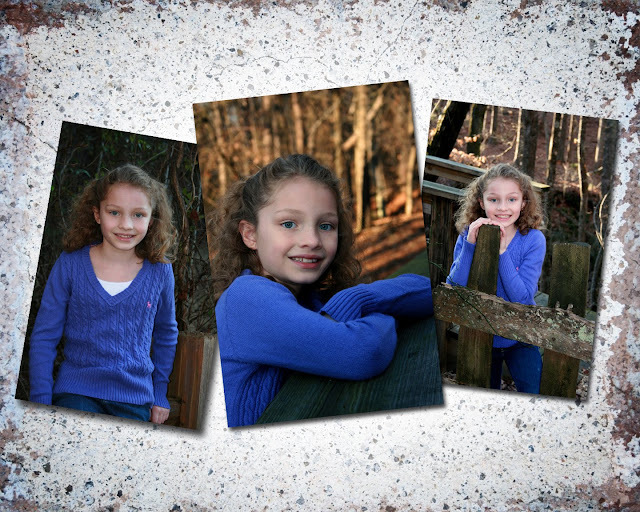 The color choice of the sweater helps this girl stand out against the background of our Georgia trees which, by the way, are tough to shoot around because of possible mergers and background clutter. The photographer did a good job avoiding this. 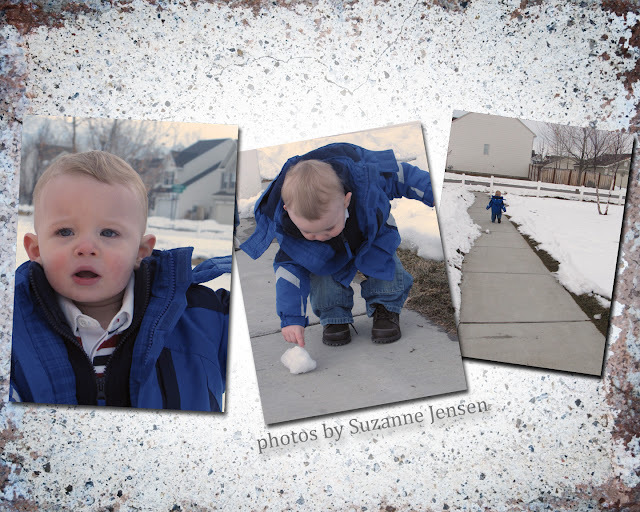 Also, she took advantage of the Rule of Thirds in the middle photo--love that one! Another great use of color and contrast with the scarf! 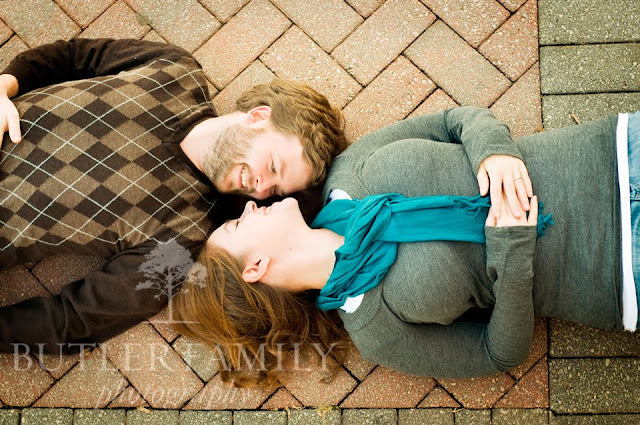 This photographer let the girl pick where she wanted to sit and pose. Do we have a future model in the making? 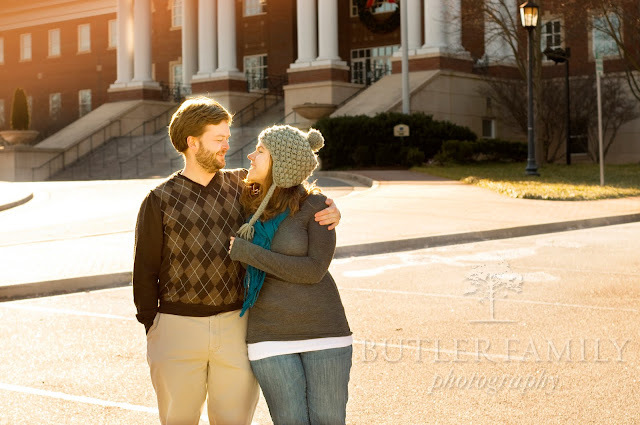 I love getting this photographer's posts on Facebook. She posts her work as the month goes on and I see her getting better and better! 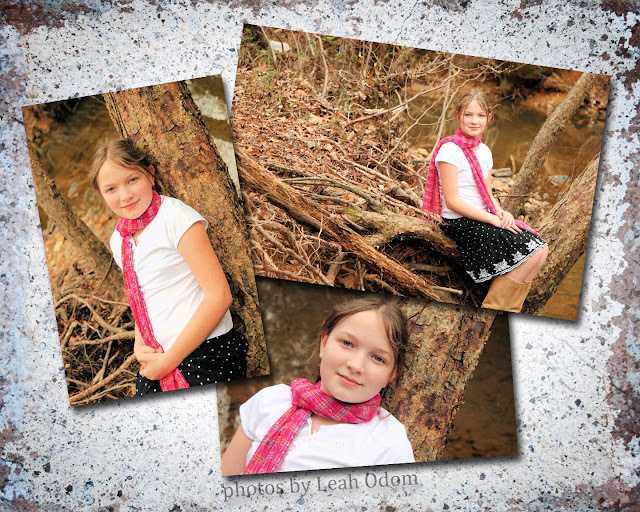 This photographer wrote a whole post on Photo Club on her blog, Lingering Momentz. 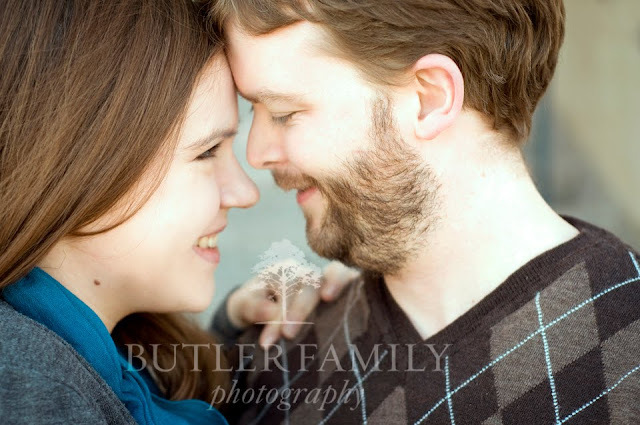 These photos are such a good example of the kind of relationship you want between your subject. You can tell there's a level of comfort and trust there--and it makes for good photos! This photographer's confidence has grown as she's taken photos for each month's assignment. She's really willing to try out whatever technique I suggest and it's made for some fun photos like these ones. What I really love about these photos is that they capture the curiosity and independence of the little boy in a way that words never could. 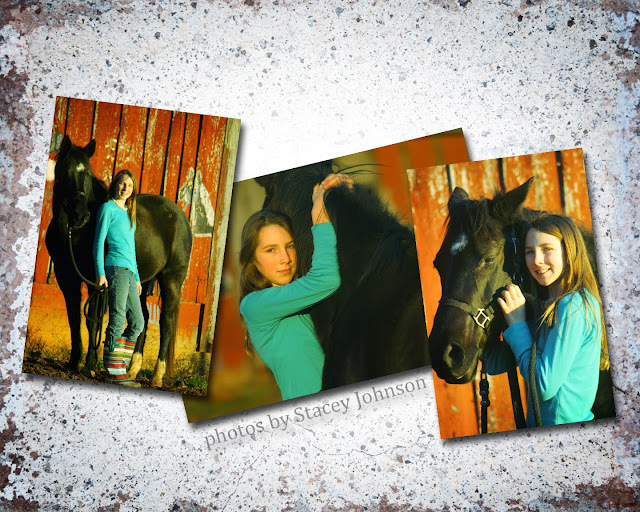 This Photo Club member takes amazing horse photos and well as people photos. 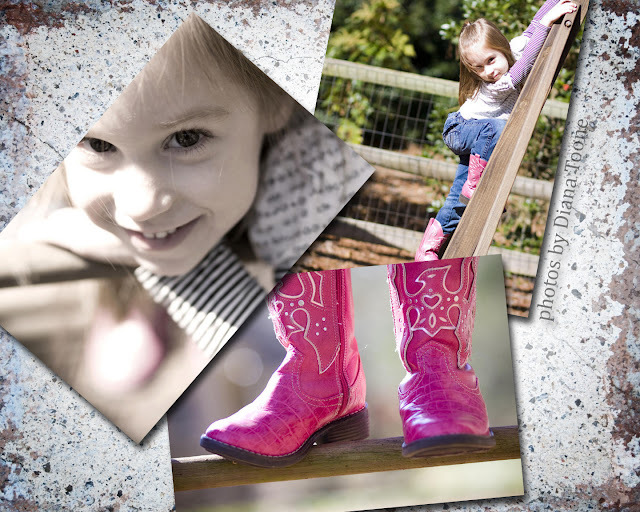 I love how she combines these 2 strengths in these images. She took advantage of the color and direction of the almost-sunset light to capture her a hard-to-photograph black horse. You can see more of her work at Stacey J. Photography. 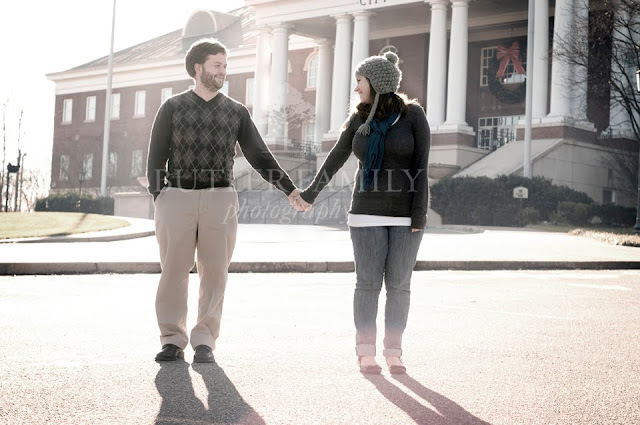 The first day of the year was my first shoot of the year for this fabulous couple. We had several spots we wanted to use in the area, but it was COLD! So, we went back to the car several times to warm up and review the images we shot. Thanks for being such great sports! My favorite photos are the first and the last. The first because it took some doing to find a place where I could climb up to shoot a bird's eye view of the couple (and because even though it's tricky, I love doing that!) 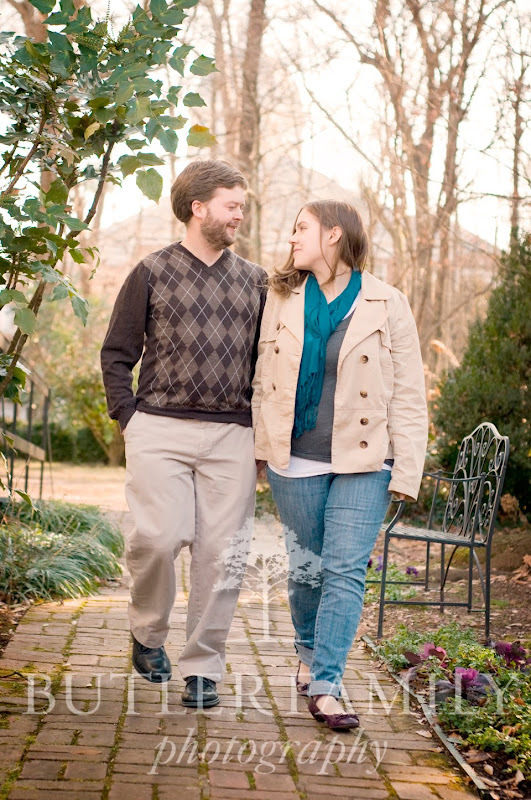 The last one is also a fave because it tells a bit of their story: the two met and fell in love at a convention for the National Federation for the Blind. 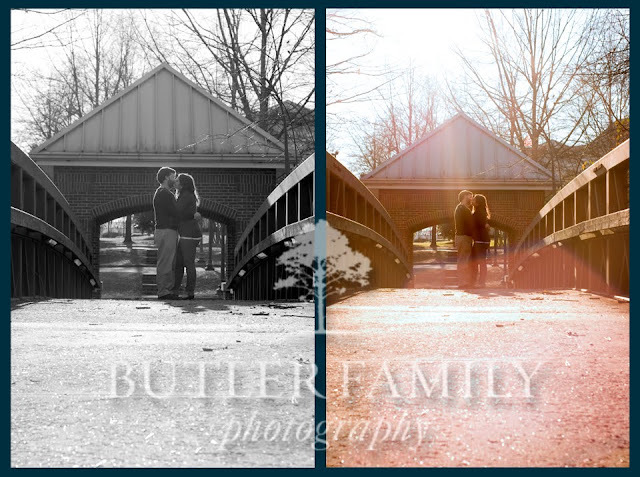 I'm so thrilled I could make these engagement portraits.